13 June 2017. 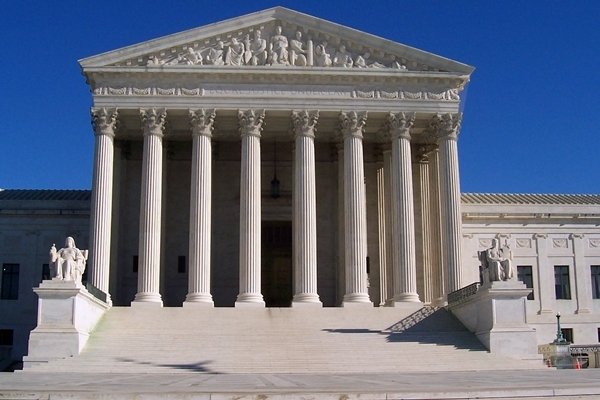 The U.S. Supreme Court ruled yesterday that makers of biologic drugs similar to branded originals need not wait an additional 6 months to begin marketing their products. The case is a victory for Sandoz, the generics division of pharmaceutical company Novartis, that makes a form of filgrastim, a biologic drug for cancer similar to a branded drug made by biotechnology company Amgen. Filgrastim is given to people receiving radiation or chemotherapy to build white blood cells needed to fight infections; it’s not by itself a treatment for cancer. The drug is a naturally occurring substance made from live cells that stimulates production and release of neutrophils, a type of white blood cell made in bone marrow, to reduce the period of time when people receiving cancer treatments are most susceptible to infections. Amgen developed filgrastim and markets the drug under the brand name Neupogen. Sandoz produces a biologically similar form of filgrastim it sells under the Zarxio brand, which was the first biosimilar drug approved by FDA in March 2015. Biosimilars, the name for this type of drug, are bioengineered replacements for the original branded drug, and not one-to-one chemical substitutes, like generic drugs. As a result, biosimilars are more complex and must show they are interchangeable with the branded drugs they seek to replace. An Associated Press story about the decision says that market prices for Zarxio are about 15 percent less than Neupogen. In the legal cases — Amgen and Sandoz filed suits against each other — the companies argued over provisions of the Biologics Price Competition and Innovation Act, which eventually became part of the Affordable Care Act in 2010. That law lays out an abbreviated review process for biosimilars, following the 12 years of patent exclusivity given to the branded drug. One of those provisions requires the biosimilar maker, in this case Sandoz, to give a 180-day notice to the branded drug maker of its intent to market the biosimilar drug. Amgen argued that period does not begin until FDA approves the biosimilar. The legal, policy, and scientific cases turned out to be quite complex. Writing in the legal web site Scotusblog, intellectual property lawyer John Duffy noted on the day of oral arguments before the Supreme Court in April, “Together they are a giant Russian nesting doll, a matryoshka, of complication.” Those complexities are a result of the interactions between provisions in the Biologics Price Competition and Innovation Act dealing with biosimilars and more general language in the Patent Act that governs intellectual property overall, as well as the molecular complexity of biosimilars. The Supreme Court’s unanimous decision, written by Justice Clarence Thomas, reverses an appeals court decision in favor of Amgen, and rules that companies like Sandoz making biosimilars can give their notice of marketing to original biologic developers before FDA approves the drug. The decision, in effect, removes the 180-day waiting period, but keeps the 12-year period of patent exclusivity given to biologic developers. Carol Lynch, who heads Sandoz’s global biopharmaceuticals division, says in a company statement, “The Justices’ unanimous ruling on the notice of commercial marketing will help expedite patient access to life-enhancing treatments.” Neither Amgen nor Biotechnology Innovation Organization, which represents biotech companies in the U.S. and filed a friend-of-court brief in the case, issued comments.